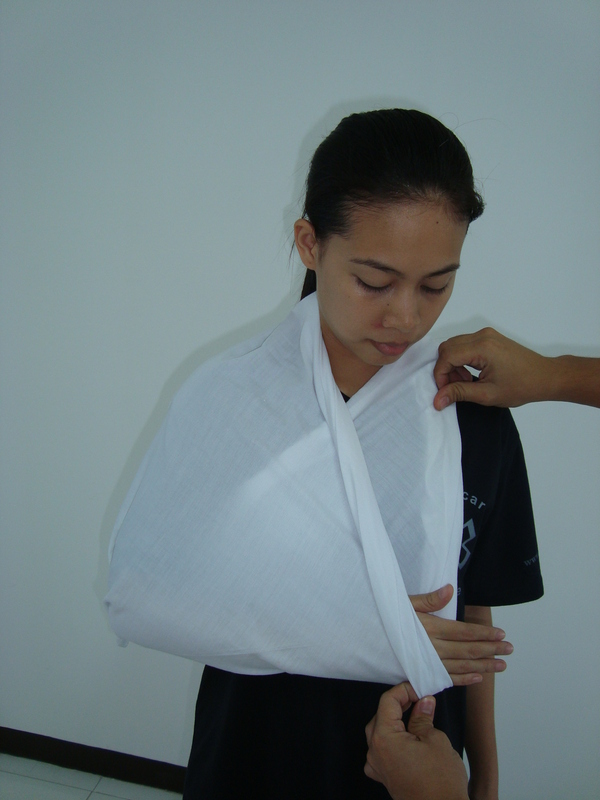 This application is ideal to support the shoulder in case of dislocation as well as to support the arms in cases of fracture. 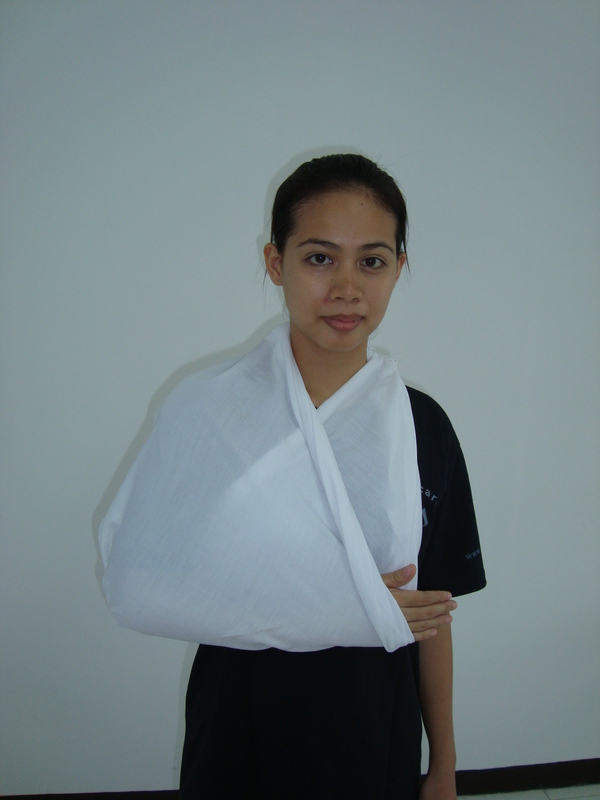 Should this be utilized to support the arms for fracture, the splints should be applied first and the armsling applied after. 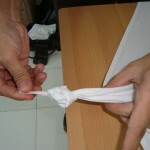 Secure the apex of the bandage and make and overhand on the tip (figure 1). 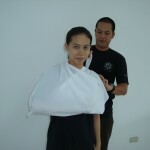 This will create a hold effect over the elbow. 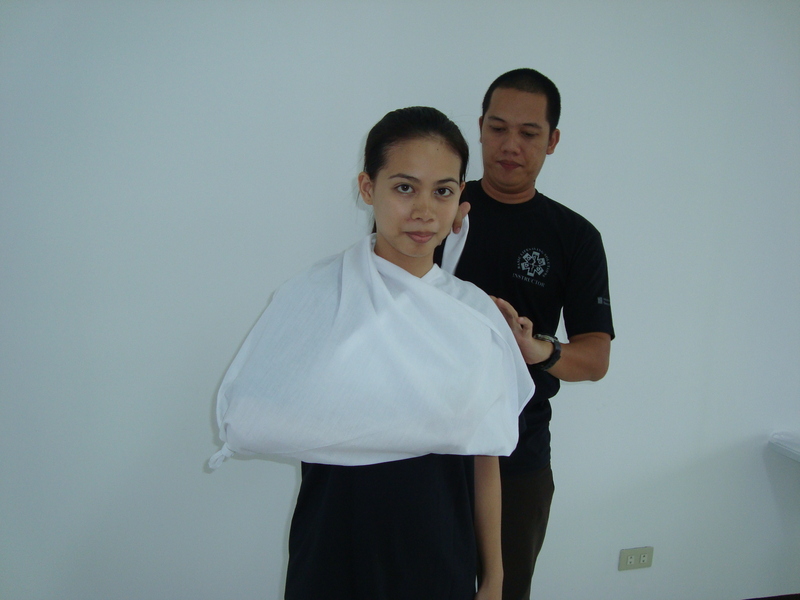 Bring the points together on the back of the patient and make adjustments to insure patient’s comfort (figure 5). 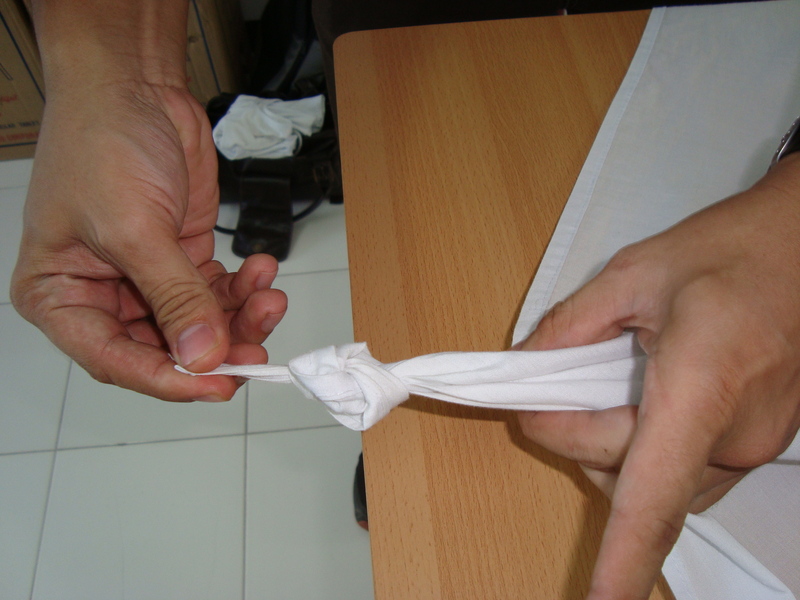 Once the armsling fully supports the shoulder and arms, make a square knot to sustain the armsling (figure 6). 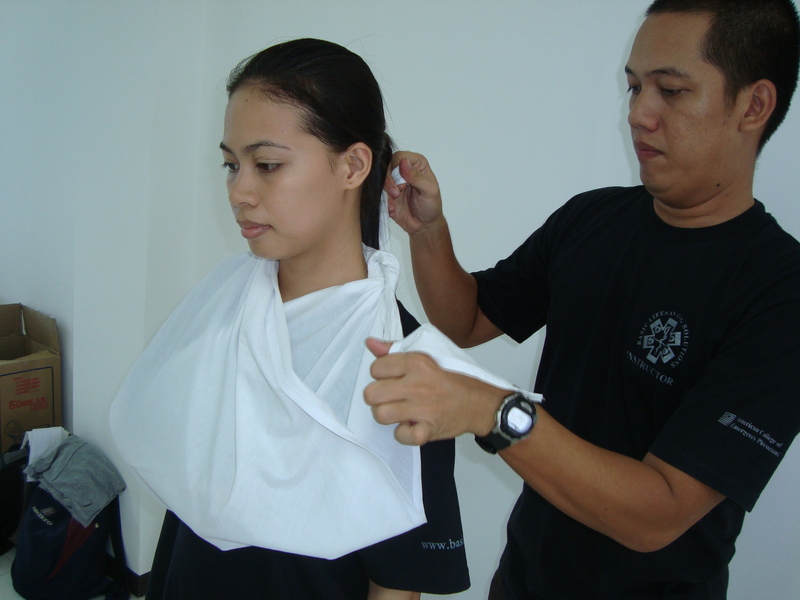 Make sure that the square knot is on any side of the neck and not at the back of the neck as it will create a discomfort at the back upon sitting. 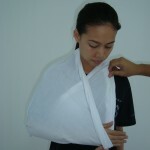 If the fingers are not exposed, fold the side of the bandage to expose the fingers (figure 7). 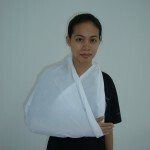 Exposing the fingers will allow assessment of circulation all the time on the affected extremity. 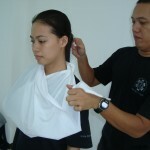 Perform housekeeping by inserting the apex towards the elbow and inserting the end points at the back of the neck to clear out dangles and for safety (figure 8).